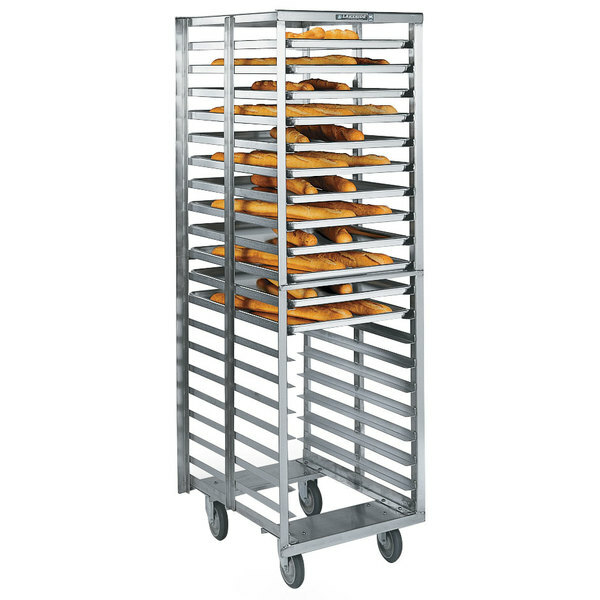 This Lakeside 8900 end load stainless steel bun pan rack is a great choice for pan storage in bakeries, hotels, and schools. It ships assembled so that you can use it immediately upon arrival. Plus, this rack features an extra heavy duty frame that has no pry points, qualifying it for use in correctional facilities. The durable, corrosion-resistant stainless steel design is a great choice for refrigerated storage conditions since it resists deterioration in high moisture environments. Stainless steel is also easy to clean and sanitize so that you can be sure your pans are stored safely. 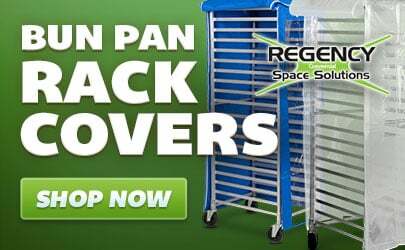 This bun pan rack includes four all swivel 5" recessed plate casters for superb mobility and maneuverability. The 3" angle ledges support both full and half size pans, and the angle ledge design is especially advantageous if your pans vary from the standard 18" size. The ledges are spaced 1 1/4" apart to provide maximum storage space. This rack can hold up to 20 full size pans or 40 half size pans.